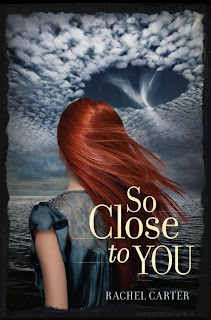 Today I'm the blog tour stop for So Close to You and I'm absolutely thrilled to have Rachel Carter on the blog! If you're debating over picking up So Close to You, I have two words for you: time travel. What inspired you to write So Close to You? I was inspired by a lot of things! I’ve always loved time travel books, so as soon as I heard about the real life conspiracy of the Montauk Project, I knew I wanted to write a story about it. There’s a scene where Mary and Lydia go into a general store in the 1940s, and Lydia is marveling at all of the products and advertisements on the walls. That was fun to write, because I loved imagining a modern teenager reacting to this foreign time period. Is there a song that you think summarizes So Close to You? It’s tough to pick just one! But probably The World Spins Madly On, by The Weepies. I just finished writing and editing the sequel to So Close to You, and now I’m starting to outline book 3. I also have about a million other story ideas that are rolling around in my head. The Morning Gift, by Eva Ibbotson. I think it was the fourth time I’ve read it. I love that book. I love all Ibbotson’s books; they’re so fun and clever and romantic. I’m exceedingly envious of her prose! Rachel Carter grew up in the woods of Vermont. She is a graduate of the University of Vermont and Columbia University, where she recently received her MFA in nonfiction writing. 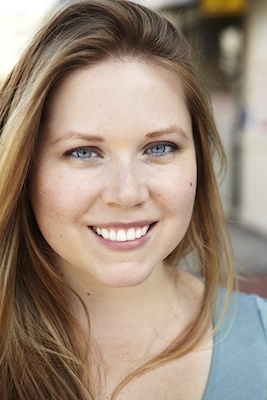 Rachel has been a teacher, a nanny, a caterer, and a bellhop. She is currently at work on her next book in Brooklyn, NY. Want to know more about Rachel Carter? Check out her blog or follow her on Twitter! So Close to You by Rachel Carter comes out on July 10, 2012--don't forget to pick up a copy! Great interview! I have to check out that song by The Weepies, the title is interesting :) Can't wait to read this novel!